WESTPORT — Thousands of small rubber ducks will take over the Saugatuck River and race downstream Saturday. 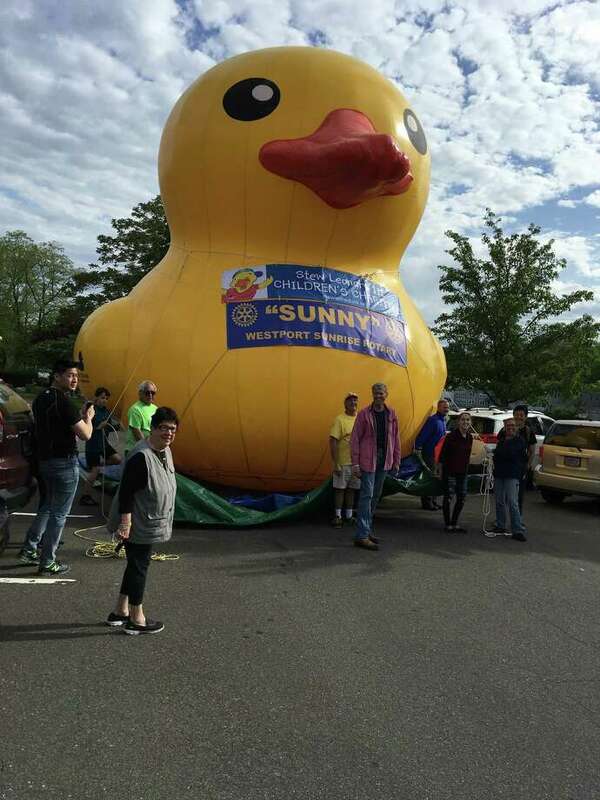 In its eighth year, the Great Duck Race is sponsored by the Westport Sunrise Rotary to raise money for several local charities. The race, which is the organization’s most substantial fundraiser, generates over $20,000 each year in donations to charity. “We’re going to have food, ice cream, a bouncy house, firetrucks, face-painting, and there’s a tennis ball toss in the water,” Sunrise Rotary President Helen Garten said. Tickets to sponsor a duck are $20, but admission to the event is free. They can be purchased from Sunrise Rotary members and at the event. Festivities start at 9 a.m. on Saturday, “rain or shine,” Garten said. The ducks are dropped into the water at 11:30 a.m. and the actual duck race kicks off at noon. “We will dump 3,500 little ducks at the northern part of Parker Harding, and then the ducks will race down river to the finish line at the Post Road bridge, and there are prizes for the winners and you can buy a duck up until the event of the race,” she said. Whoever has the winning duck wins a $5,000 Visa gift card, second place wins $1,000 and third through 10th are awarded $500 each. Sunny the duck, a 23-foot rubber duck, will be on hand to take in the race, Garten said.